This past BUSU meeting was a busy one with many extra guests attending to make presentations to the council. These guests included Katie Gross, the acting dean of students, Lisa Park, the diversity and human rights advisor, Dr. Faiz Ahmad from the biology department, and Carla Navid, the sexual violence education and prevention coordinator. Gross, Park, and Ahmad were in attendance to talk to council about a multifaith space on campus for students of any religion to utilize for prayer. Gross explained that she had been approached by some Muslim students for a dedicated place to pray, as they are currently praying in quiet places of the library. Ahmad, a practicing Muslim, said that Muslims pray five times each day (two of these prayers may occur during the school day), and that he doesn’t think it’s right that they have to pray in the public library. Parks spoke to the concept saying that accommodating people’s religious beliefs and needs is a human rights issue, and that there is an expectation that BU complies with this. The proposed space will be available to students of any faith for quiet prayer or meditation, and should not to be used for gatherings or groups. In the past BU has had other spaces dedicated to religious uses, one such being CHO 104, which used to be called The Chapel. BU does currently have the Ceremony Room in the Health Studies building where Aboriginal/Indigenous peoples may smudge or hold ceremonies. The proposed multifaith space will not be conducive to smudging or similar practices. Navid’s presentation to the council was to inform them that there will be town halls to discuss the protocols related to the Sexualized Violence Protocol on October 24th and 27th. More information about these town halls can be found on the website at brandonu.ca/sexualviolence/. Also at this meeting Lisa Mizan sent a resignation letter for her position of Women’s Director to the council, which was accepted. In conjunction with this resignation and as a continuation from the issues raised at the previous council meeting on September 28th, Part Time and Mature Students Director Steven Holden mentioned that he would like to see the bylaws regarding dismissal of council members be updated. The current procedure was described as being ambiguous, and Holden also mentioned that there should be clear ways for council directors to be held accountable. At this time it was noted that the Health Studies faculty has opted out of partaking in the fall study break this year (set for November 6th to 9th, with November 10th being observed for Remembrance Day), but has reevaluated their decision and currently plan to partake in the week long break during the next academic year (2018-19). Lastly, council approved requested vacation time for BUSU President Nick Brown and Vice President External Mohammed Agavi. 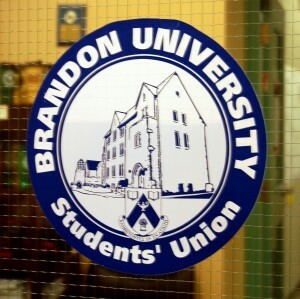 Brown will be taking leave November 13th-15th, after which time he will remain out of the office as he attends meetings in Ontario on behalf of BUSU. Agavi will be taking vacation November 2nd-9th. The next meeting is scheduled for October 26th at 6:00PM in the CLC Boardroom.